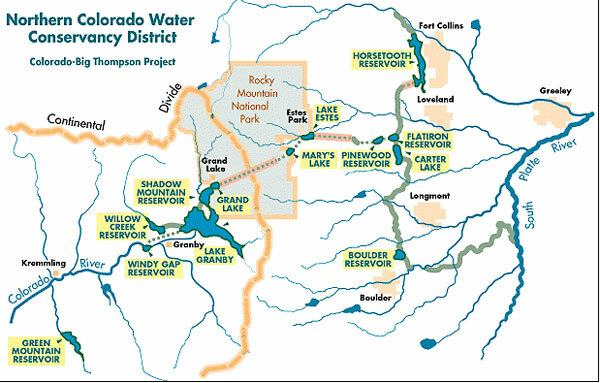 Northern Water’s Board increased the Colorado-Big Thompson Project quota allocation to 80 percent at its April 13 Board meeting. With many farmers concerned about the lack of recent moisture and the hope that cities may be willing to provide some rental water to help the region’s agricultural economy, the Board chose to make available an additional 30 percent as supplemental quota for 2017. The approval increased available C-BT water supplies by 93,000 acre-feet, from the initial 50 percent quota made available last November. The Board considered snowpack totals, streamflow runoff projections and input from farmers and municipal and industrial water providers in setting the quota. C-BT supplements other sources of water for 33 cities and towns, 120 agricultural irrigation companies, various industries and other water users within Northern Water’s 1.6 million-acre service area. Directors considered the general dearth of moisture in March as they discussed the quota options. March precipitation was 27 percent below normal and contributed to the Board’s decision to raise the quota. Directors base their decision on the region’s need for supplemental water, while balancing project operations and maintaining water in storage for future dry years. Lake Granby spill June 2011 via USBR. 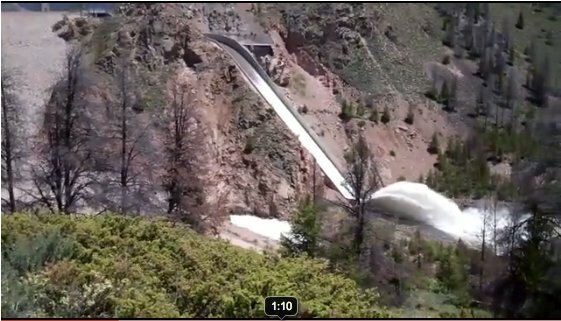 Granby Dam was retrofitted with a hydroelectric component and began producing electricity [in 2011] as water is released in the Colorado River.